They got married at Clare’s parents’ house, which is basically a farmhouse, with a few fields surrounding it. There was a little camp-site that we all set-up for us to stay at overnight, and there were various marquees and sheds being used for the reception. 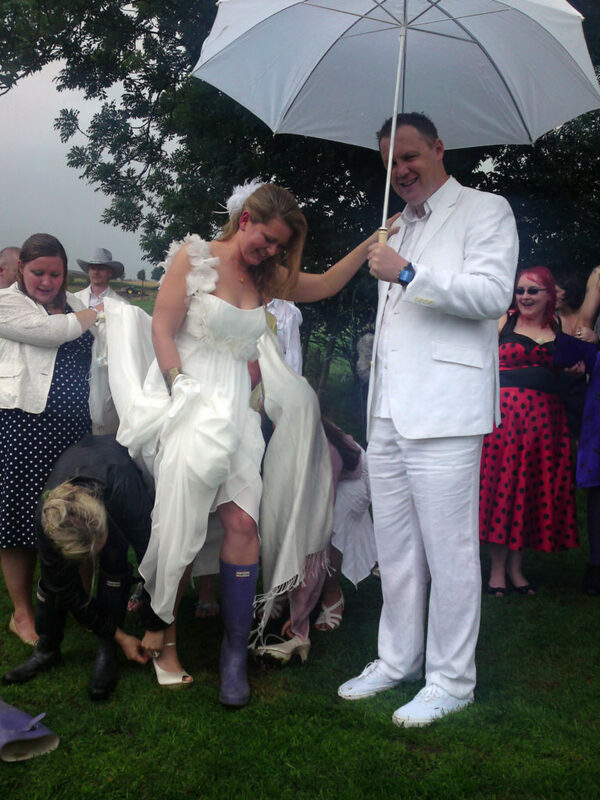 The only down-side was the weather – just as the wedding ceremony was ready to start, the heavens opened and the rain came pouring down! Luckily it didn’t really detract from the wedding at all – if anything it made the day even more memorable, and it soon cleared up once the reception was in full flow. 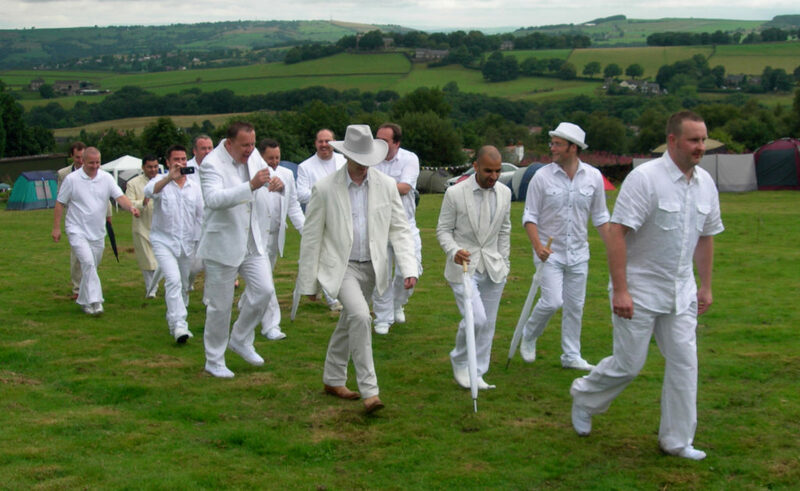 Of course, one issue with all the rain was that it meant that the ground started to get a bit muddy, which isn’t the most ideal thing when you’re wearing white shoes, white trousers and a white shirt! It was a great day – and everyone had a good time, and in the evening they had live music and comedy, and a big bonfire which rounded off the night nicely. And then after a night camping, it was time to wake up to sausage and bacon sandwiches cooked on the barbeque, and quite a bit of clearing up! There are a bunch of photos from the wedding here. 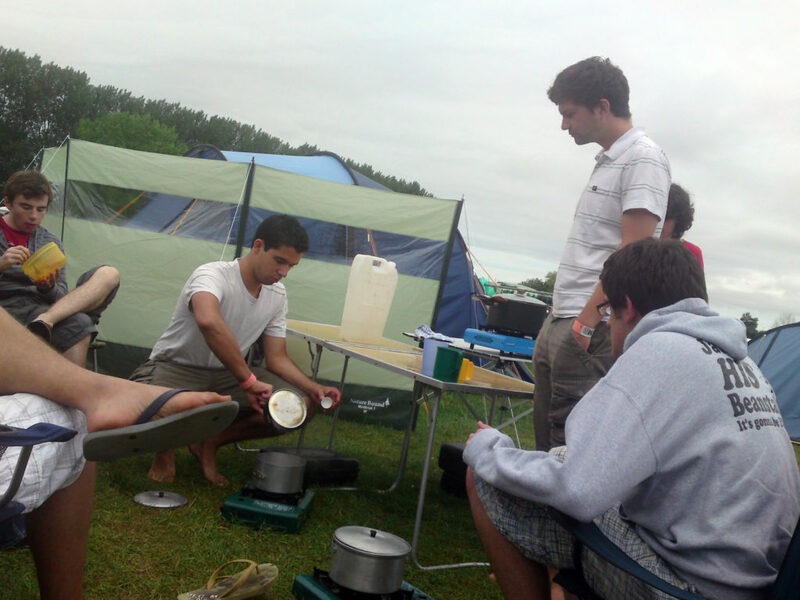 And then the last couple of weeks I’ve been away camping at Momentum and Greenbelt. First off – Momentum down in Shepton Mallet. The last time I went was back in 2006, when I was working on team for Soul Survivor, so stuck around for the extra week. 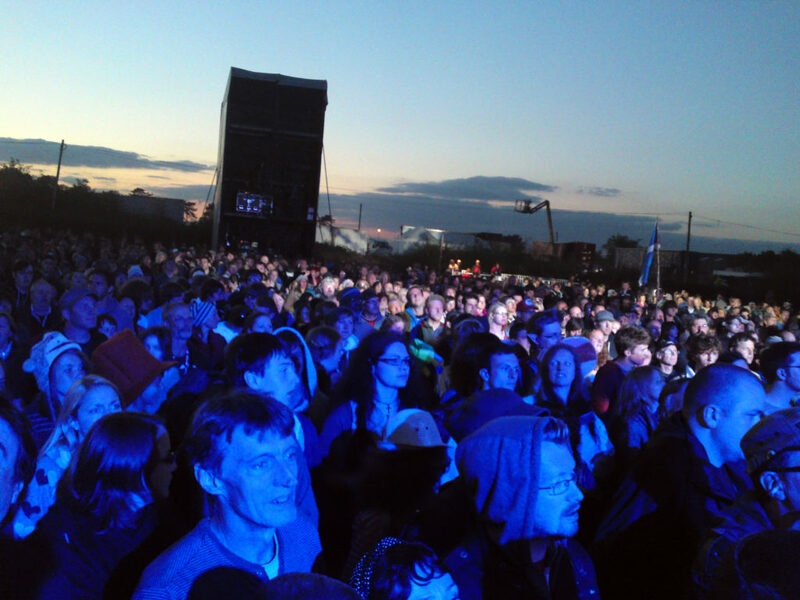 It was a pretty last-minute decision – I’d gone along for the day to Soul Survivor in Stafford last month, and decided then to book on for this year’s Momentum. I got there and managed to find out where some other Manchester people were camping, so spent a little bit of time with them, but also there was a crowd from Tamworth there so I met up with those guys quite a bit over the week. The weather wasn’t the greatest – it was pretty wet, and incredibly windy, but I’ve camped there in worse conditions in the past! It was actually pretty cool being back there, and didn’t feel like I’d been away for four years at all! Then once that had finished, I drove up to Cheltenham for the start of Greenbelt – although I stayed in a Travelodge for one night between the two festivals, and it was great to sleep in a real bed and have a decent shower before the bank holiday weekend started! At Greenbelt, I met up with the usual Bristol crowd – Ali, Julie, Claire and Rosie – and again managed to camp in the volunteers section which meant we were pretty close to all the main stalls and venues. Got to see quite a few bands – some that I’d not really heard of before, but also saw Shed 7, Beverley Knight and Jars Of Clay all performing on the main stage. I also got to see Milton Jones do his live stand-up show… had to queue up for ages to get in, and actually missed the first ten minutes because the queue was so long, but it was well worth it… he was hilarious! Some very clever set-ups, and just some crazy comedy! So it was a great couple of weeks away – the only sour note was that someone managed to reverse into the side of my car in the car-park on the last day as we were packing up. 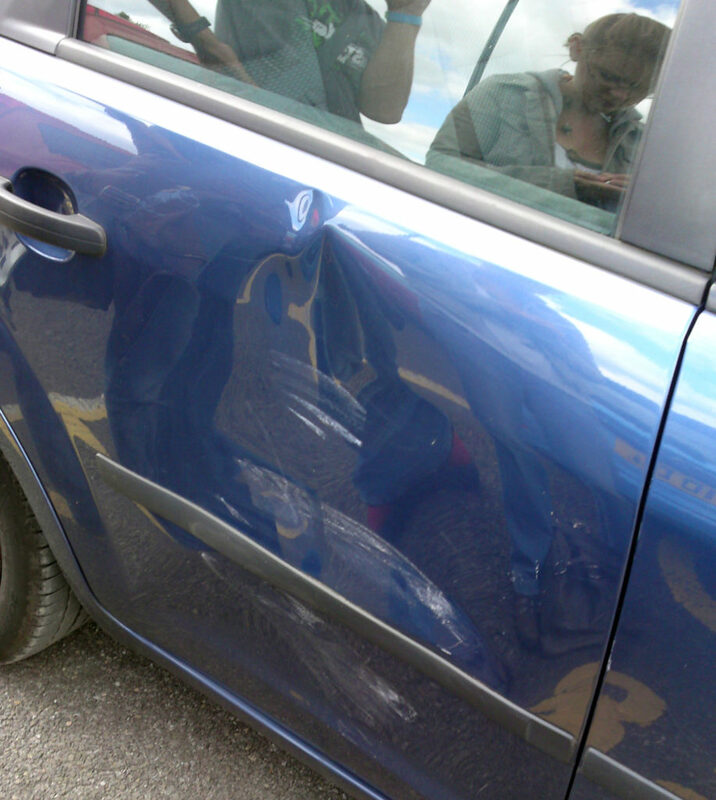 I was sitting in it at the time, and was stationary so it was totally their fault – the rear door is dented pretty badly, but hopefully there shouldn’t be any problem with the insurance since the other driver admitted responsibility.